2019 Mantis Electric Tiller/Cultivator 3550 for sale in Hicksville, NY. Long Island Power Equipment Inc. The Mantis Electric Tiller/Cultivator 3550 delivers quiet digging and cultivating power you’ll appreciate. 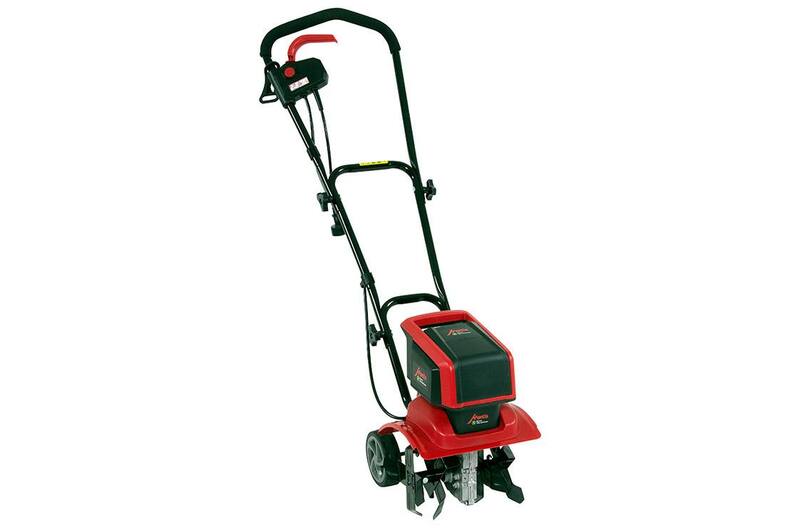 This small corded tiller is powered by a clean, efficient electric motor. Refresh or renovate existing garden beds or break ground for planting new ones. 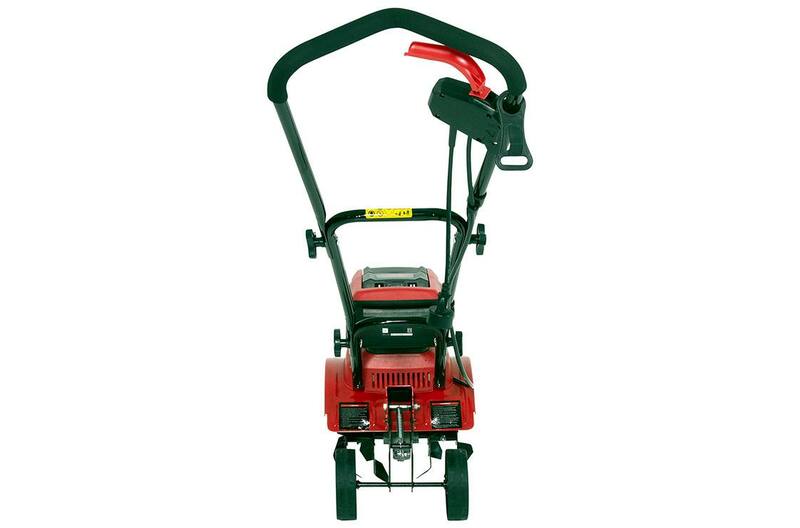 Compact size works in any size garden. At 24 pounds it’s easy to lift into raised beds, too! Includes 3-position wheels. Give it a try for 30-days. If you’re not satisfied, return it for a no-hassle refund. 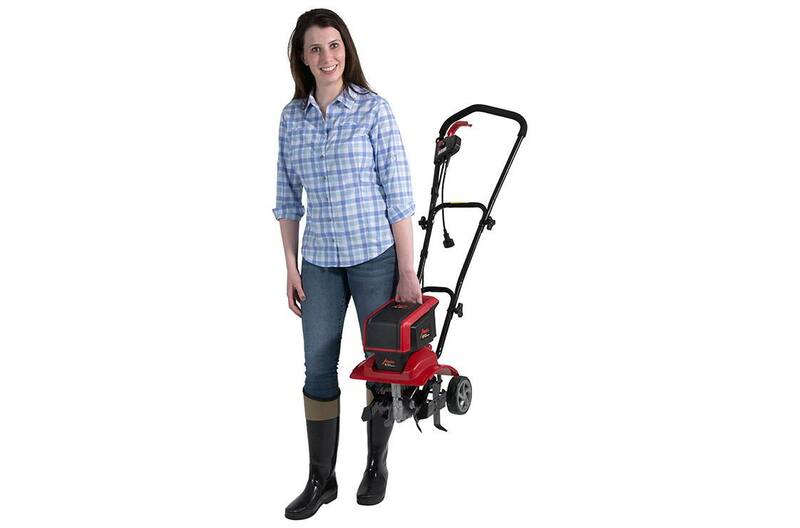 The Mantis corded electric tiller 9 amp 2-speed motor is powerful and quiet. Break through hard ground or sod, refresh and rototill existing beds for planting – select the perfect speed for your job. 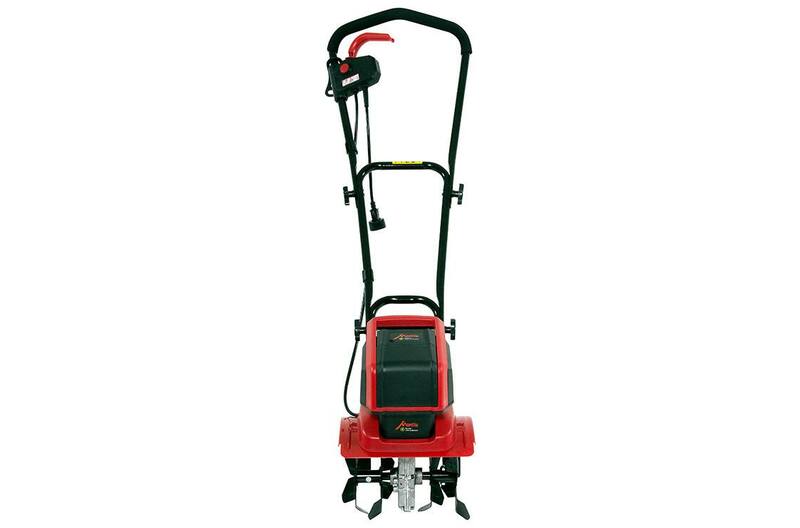 The Mantis Electric Corded Tiller/Cultivator 3550 gets digging and weeding done fast. Steel power-trowel tines: 16 sturdy steel power-trowel tines deliver impressive tilling, cultivating and weeding performance. Ergonomic handle with padded grips: Comfortable ergonomic cushioned foam grips and fingertip controls for ease of operation. Retractable multi-position wheels: 3-position wheels adjust to manage cultivating depth and for easy transport. Raise to maximum height for deeper digging or to stow up out of the way. Compact design: Generous 12" tilling width works perfectly in raised beds and narrow garden rows. 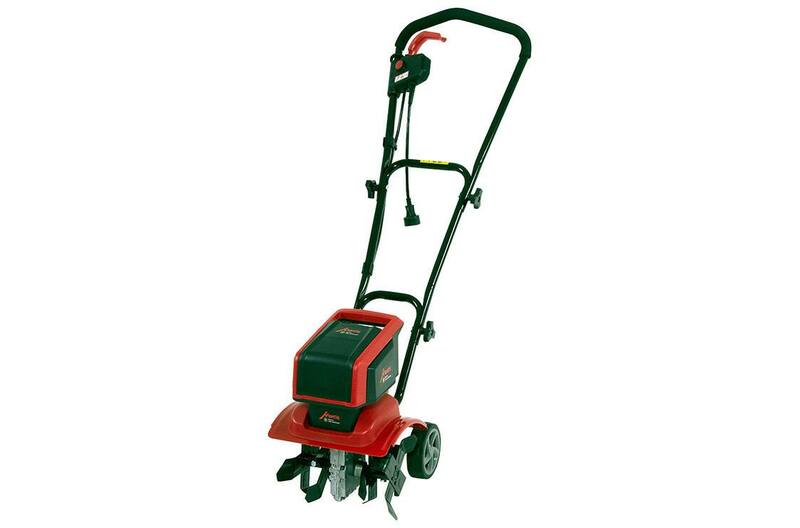 The Mantis Electric Tiller/Cultivator 3550 weighs just 24 pounds; easy to maneuver in all gardens. 8" Tilling Depth: Prepare beds for planting. Quickly weed around existing plants faster than using a hoe or other hand tools. Built-in extension cord holder: Helps secure cord while using the Mantis 3550 tiller/cultivator. Fold-down handles: Once you're finished, conveniently store your Mantis corded tiller in a garage or shed. Grips: Padded ergonomic foam grips for comfortable control. Guarantee: 30-Day Money-Back Guarantee: Try it for 30 days, risk-free.